Perth, Australia – July 4, 2016 — Four Js’ partner Civica International, one of Australia’s leading suppliers of software, technology and outsourcing services that help schools to transform the way they work, has announced a new contract with the Department of Education Western Australia to implement a $32 million upgrade to its School Information System (SIS). Civica Education Suite Finance module to be used as part of the solution is written in Genero Enterprise. Over the past twelve months we’ve undertaken a thorough procurement process and selected Civica as our partner. Teachers will benefit from Civica’s intuitive, easy to use web based system by having access to student information from any device with an Internet connection. The new solution will also make it easier for them to take attendance and record the behaviours and achievements of their students reducing teacher’s time spent on administration, which should result in a better learning experience for their students. The person-centric database, which allows students to hold relationships with multiple schools at the same time, will enable staff to view information from the child’s previous school, as well as their current one. As the child moves through their education, the school will be able to build and utilise a 360 degree view of the student and their family to improve educational attainment. 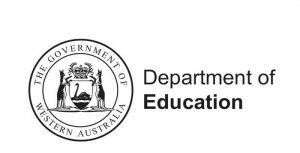 We are very excited that the Department of Education, Western Australia has chosen to implement Civica’s enterprise solution. We have now expanded our team within the Perth office in order to provide the best on-the-ground support possible. Our system is proven to save schools money and time, while enhancing the ability for children and families to track educational progress. The new education management platform is expected to relieve schools of many current reporting requirements, such as census reporting that can now be drawn directly from the system. Significant cost savings will also be made, as schools will no longer need to purchase expensive software add-ons to complement the existing SIS. In addition, the installation and maintenance of 800 school servers will no longer be required. In a state covering approximately 2.5 million square kilometres, this is likely to result in considerably reduced costs in ongoing maintenance, with a reduced need to have technical staff available to undertake maintenance. Historically, for all training, schools also needed to send staff offsite, pay a replacement teacher, as well as travel and accommodation. With the Civica Education Suite, staff are able to use an online training module to complete on demand and online training for many processes and functions. For schools’ executive teams, the Civica Education Suite will provide reporting and analytical tools; enabling them to make appropriate data-based strategic decisions and also allowing them to build up their own dashboard and custom reports. Civica’s system was built using a technological standard known as the Systems Interoperability Framework Australia (SIF AU). This common standard allows for the transfer of information between systems using a common data format, which is designed to save schools money when they need to transfer information into other software applications that they are using. Schools will start being moved to the new system from 2018. 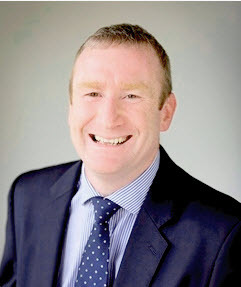 Civica has been working with the Department through a previous contract signed in 1998. This new contract will be effective for five years, with options to extend to ten years. Civica (www.civica.com.au) is a market-leading specialist in software, technology and outsourcing services that help teams and organisations around the world to transform the way they work. Combining exceptional customer focus, experience and commitment, Civica supplies more than 4,000 organisations in Australia, Canada, Ireland, New Zealand, Singapore, the UK and the USA. For more information about the Civica Education Suite please visit: http://civicaeducation.com.au.